today I had to do something which I was not looking forward, but that’s life. Or rather, that’s death. You were my tenant, and one day you got all pampered and ready and went out to go to your shop, with your poodle in tow. You never came back. It is not for me to know what happened. A heart attack, I suppose. Sorry to hear that. I wonder where is your dog? Apparently the police took care of him and put him up for adoption. So here we are. Or rather here am I, with my cleaning lady. In the flat, which I rented to you. I never met you, but we had quite an intense correspondence. Not the kind of correspondence you expect to have with an old lady. “Please pay the deposit”. “Please pay the rent”. You looked very solvent – or so the agent said, a multi-pensionnaire with a little shop, so not the kind of problem tenant you read so much in the press. Anyway, in the end things went on properly, the deposit was paid and the rent too. The Kripo first put a blue tape on the door – not a crime scene, but pending for the investigation, no access to the flat. Apparently your niece showed up, and quite soon said she did not want to busy herself with your estate. Then the matter went to the tribunal responsible for these things. “You have to take care of emptying the flat. The estate is indebted. We release the apartment. Please make sure to destroy any documents. The tribunal is sending you the keys”. The Triestine say “Morir pien de debiti! !” and that’s an hymn to life: don’t save, enjoy life, no money on the saving account for neprews, buy a fur, get that dinghy boat, go on vacation. Frau K. you were not Triestine, I suspect you were from former Eastern Germany, as your place of birth sounds from Saxony to me. There was no fur on the coatstand, I suspenct no cute dinghy is moored on the river marina here in Dusseldorf. Maybe you liked to spend on holidays or good restaurants. Stepping in the flat, it feels weird. But the police did things properly. The rubbish was thrown away before sealing the flat. No strange smells. The apartment at first sight is in good condition. Clean, in order, not too cluttered. Strangely, there are no pictures in this flat. One or two. One would expect more photos in the house of an elderly person. And not so many books. Maybe six or seven. Frau K., I think your friend – an old lady who helped her with the groceries and some cleaning as the neighbor said – came and snooped around the house, the police seal on the door was broker as we came in and this, before the tribunal sent their official letters. Empty handbags upside down and Nikon and iPad empty boxes on the desk. This looks strange. The fact that the house is clean makes things easier, to me and my cleaning lady, to sort out things. It feels a bit creepy, at the begininning. Coats on the coatstand. 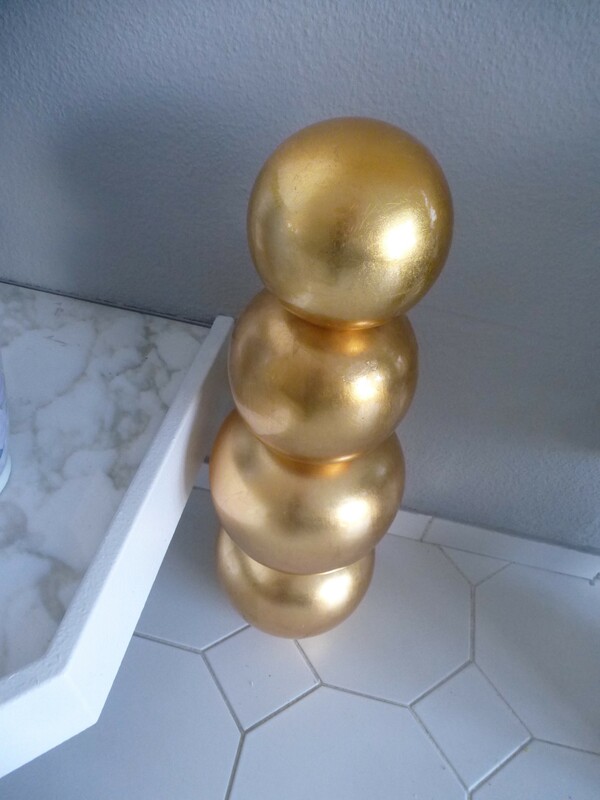 Makeup in the bathroom. It looks like a crime scene, almost. In white gloves, Tatort Kommissarin. 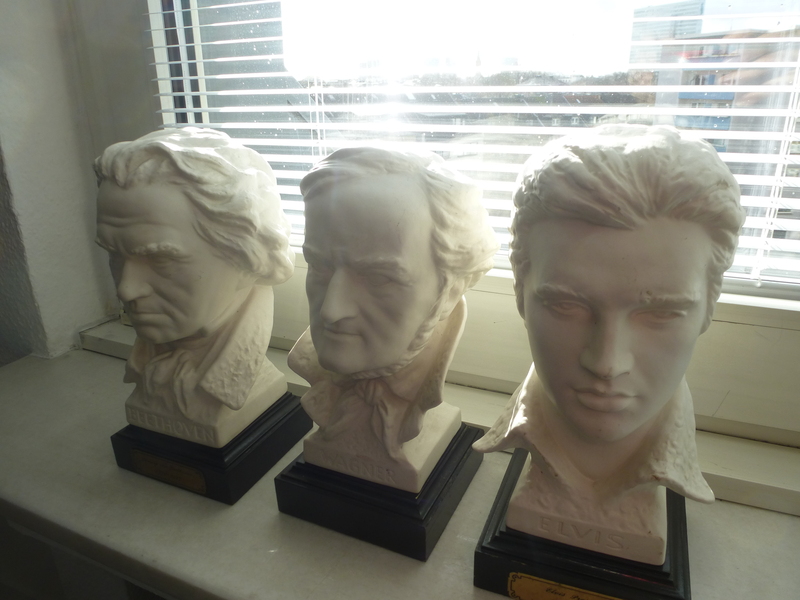 But luckily there are three cheeky chaps here – Beethoven, Wagner and Elvis – on the window sill. You had some sense of humor, Frau K. They give us courage and keep us company, while we look for a radio, find it and hum to Funkhaus Europa on FM. How wonderful transistor radios are. A bit of electricity, and they immediately infuse a place with an air of normality. No digital, 100% analogic. Yet there is an overwhelming, incredible and surreal presence here. Silk flowers. They are everywhere. Pretty and in order, almost infesting. On the table. On the cupboard. 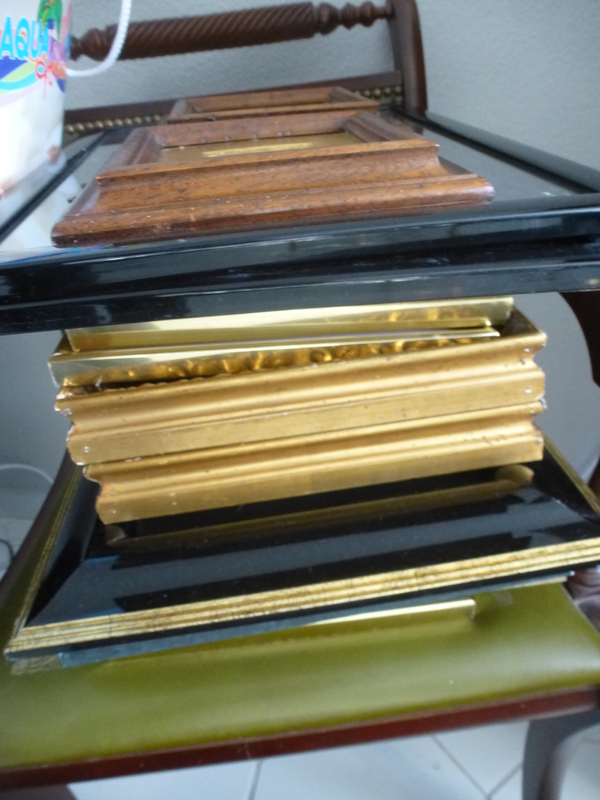 On the coffee tables (there are three of those). On the mantelpiece. On the windowsill. Blimey. In the cave, three cardboard boxes, full of Blumen. I filled plastic bag after plastic bag of these bouquets, Kranz, compositions, Bunds. After eliminating them, I could actually see the flat behind them. What remains are dozens of pots, vases, vessels of various materials. The glass ones. The flowery ones. The plain and Habitat-style ones. Fifty shades of Kitsch. And counting. 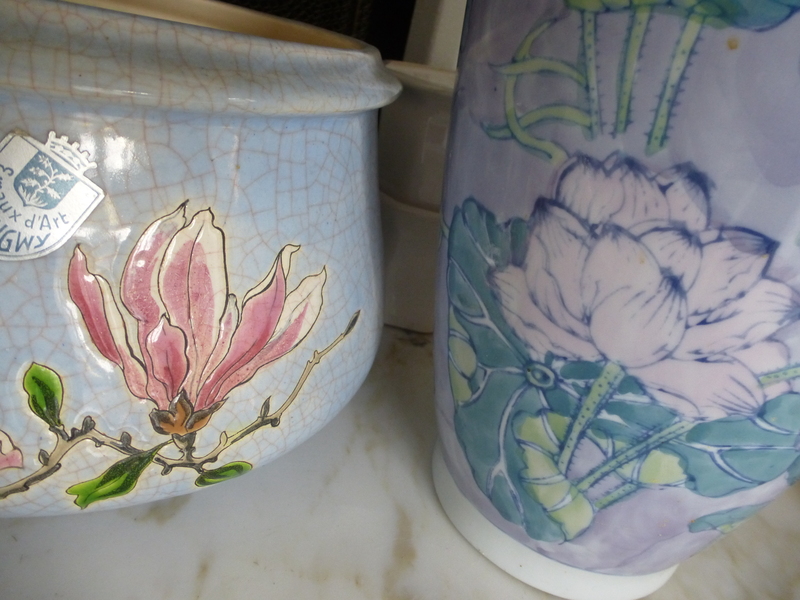 Humble -yet proud – cache-pots. 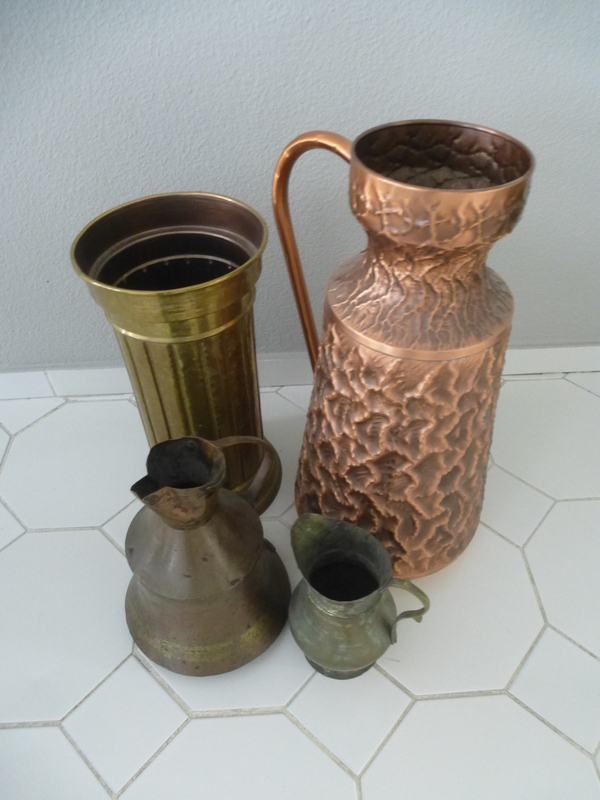 Brass and copper vases ranging from fake neoclassic to arte povera. The second type of ubiquitous presence is candles in their candle-holders. The candles are not used, they are new. Good for the walls, if all had been used, the pretty gray paint I selected for the walls two years ago would be no longer perfect. At least I will not have to repaint. So that’s quite a lot of brass. All on the floor, off you go guys. Tablaux. Many of them, in different styles. Small, A3 and bigger. Quite a lot of nails in the walls in the end. Off the hooks, the tableaux. The house starts to breath again. 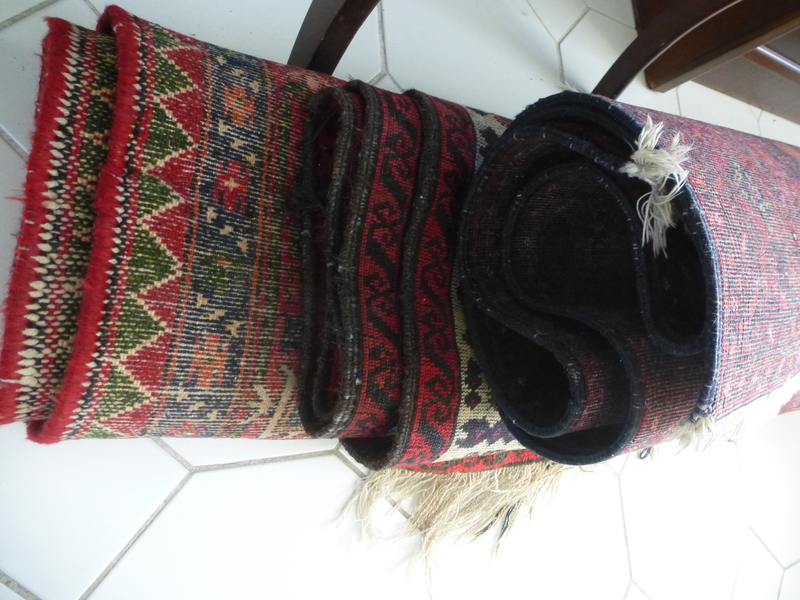 And carpets. At least they are all in the same hues of red and black. Easier for them to leave all together. Rolled up. Also these must go. 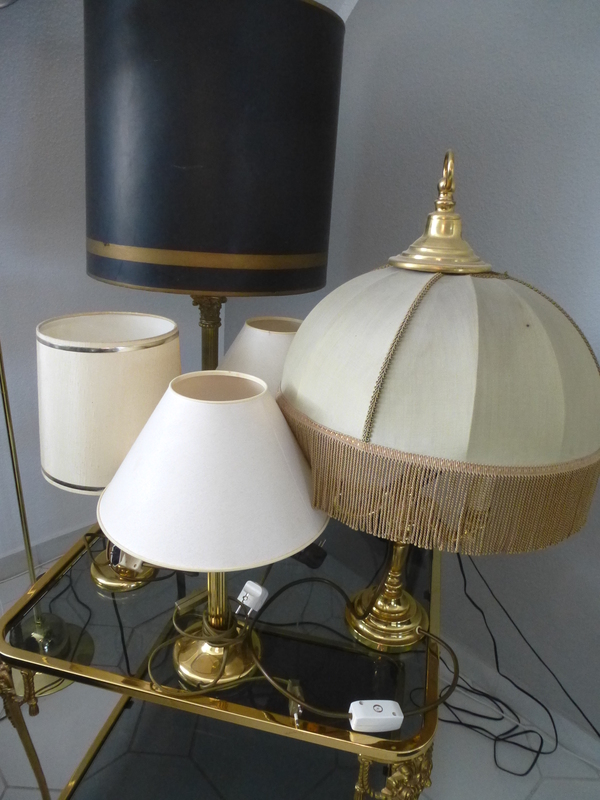 And lamps – many of them, with creamy brown or black lampshades, and more brass. Matching their coffee tables oh my. 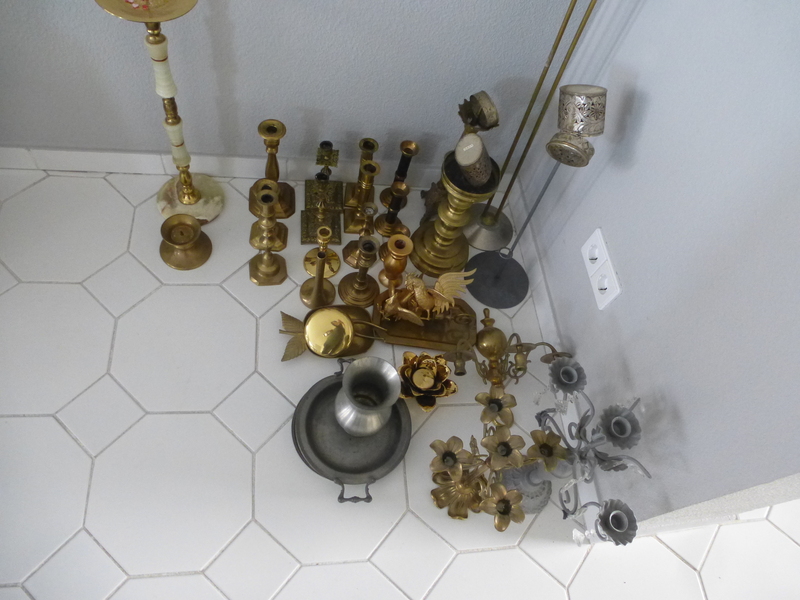 Here’s another family of objects ready to find another destination. The objects are now grouped by type, KonMari-style. Also matrioskas and wooden russian boxes scattered about all rejoined their own family. Clarity is emerging at last. Disposing of object is easier, when they are reunited in families, isn’t it? Now they can grab courage and face their journey. And now the kitchen. 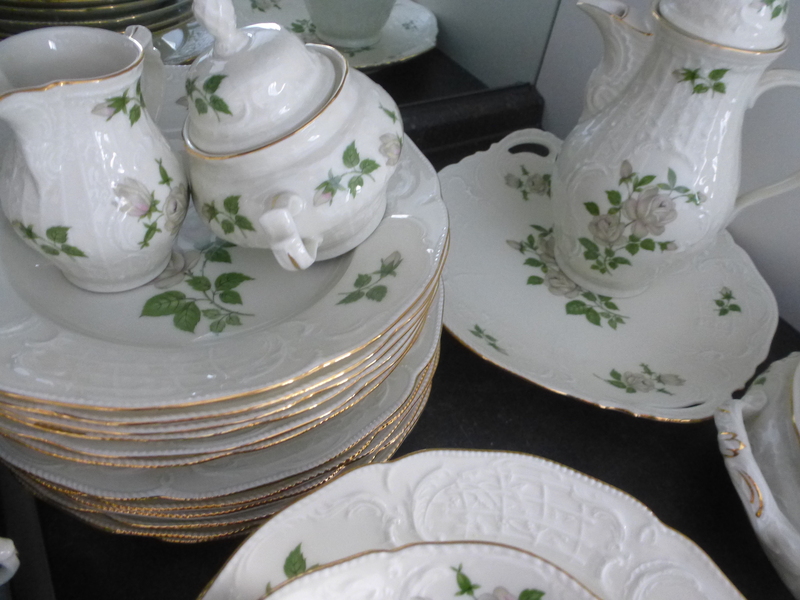 You must not have enjoyed so much cooking, Frau K. In the cupboard, a seriously consistent “good service” – brand’s Rosenthal, for those curious like me who always turn plates on their backs. 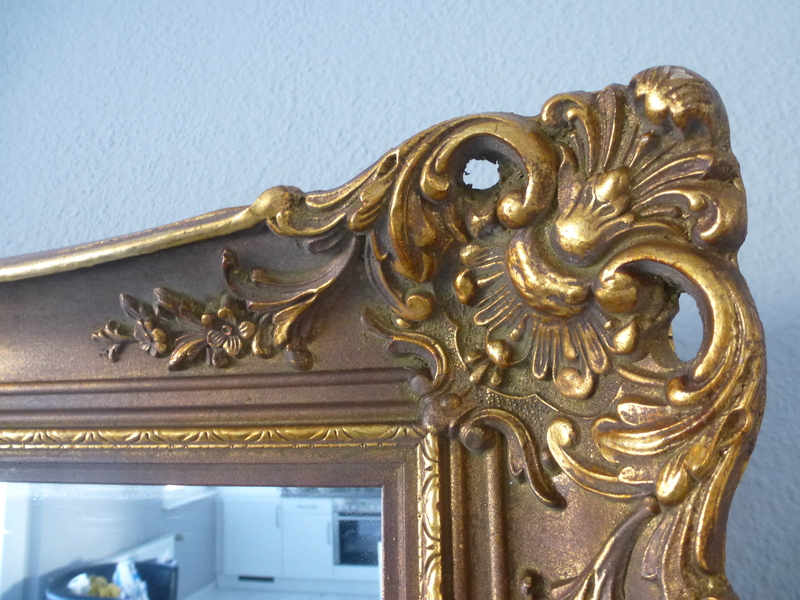 The service style matches the big mirror hanging in the living room, which is too heavy for us to lift. 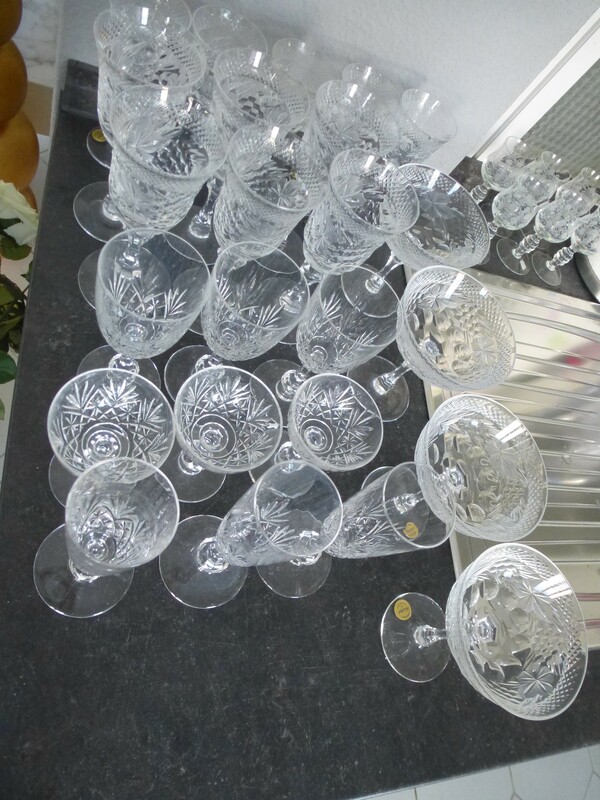 An almost consistent and pristine series of crystal glasses which probably never toasted, still wearing their golden stickers on. This is sad. Glasses should be used, and chipped, and broken, shouldn’t they? 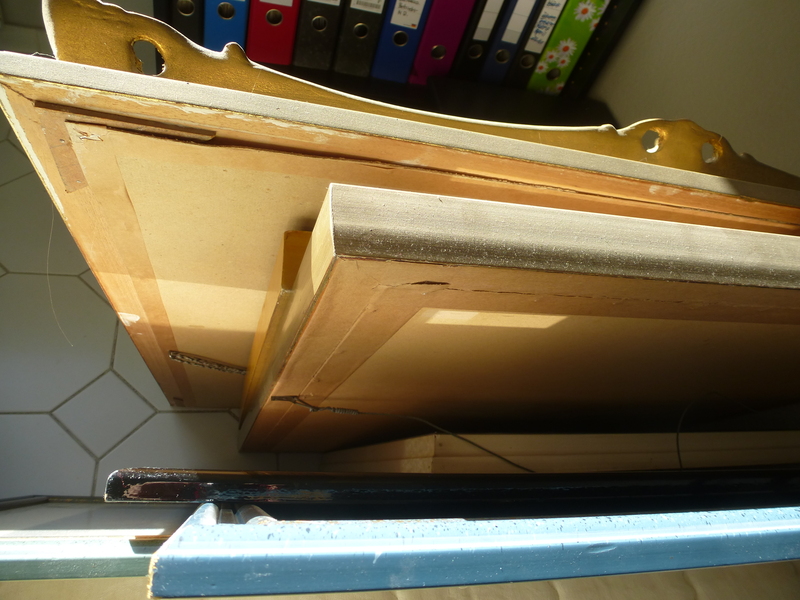 Now to the things which will be left in the flat. The dishwasher is humming along all morning, washing stuff. The white dishes, the cutlery, the stainless steel pristine pots and pans. All contemporary and good quality, all clean, all go back in the stylish white kitchen we fitted in two years ago before renting out this flat. 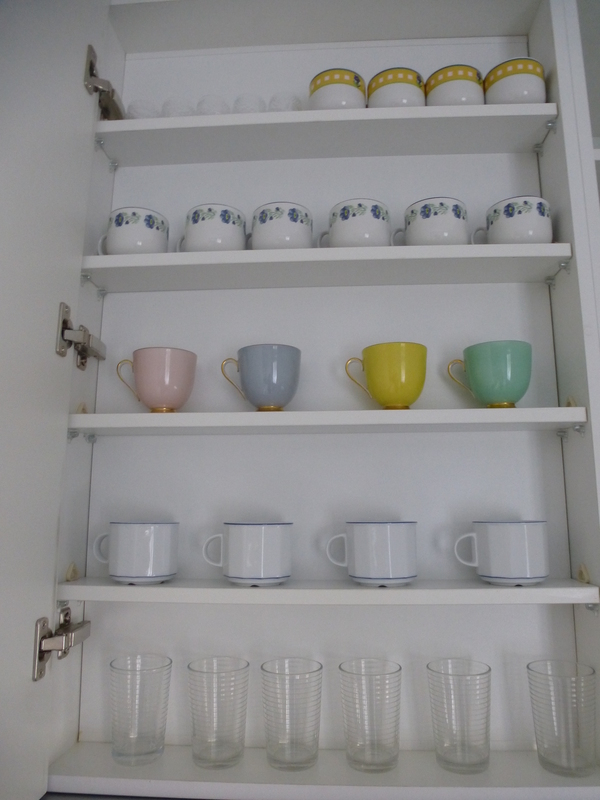 The glasses, cups and saucers: decent, all refreshed, they can stay, they can be useful for a new tenant, Frau K. Utilitarian, neither too personal nor too decorative. There will be many additional trips until the extra objects will all have migrated to their new destinations. Your neatly piled pullovers and the blouses still crispy ironed and on their cleaner’s hangers: to the refugee aid collection point. 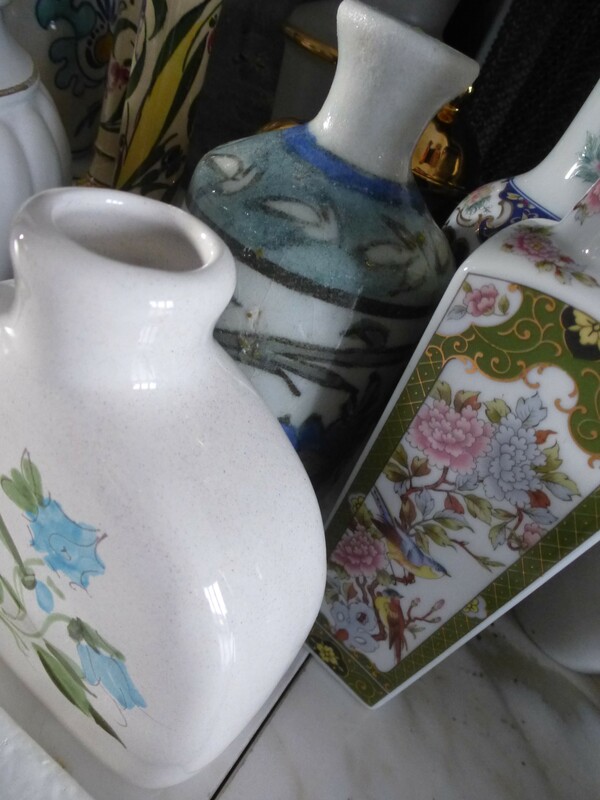 Your many vases, carpets, lamps, tableaux: to the Troedel, the charity shop. The flowers, those, have all gone. 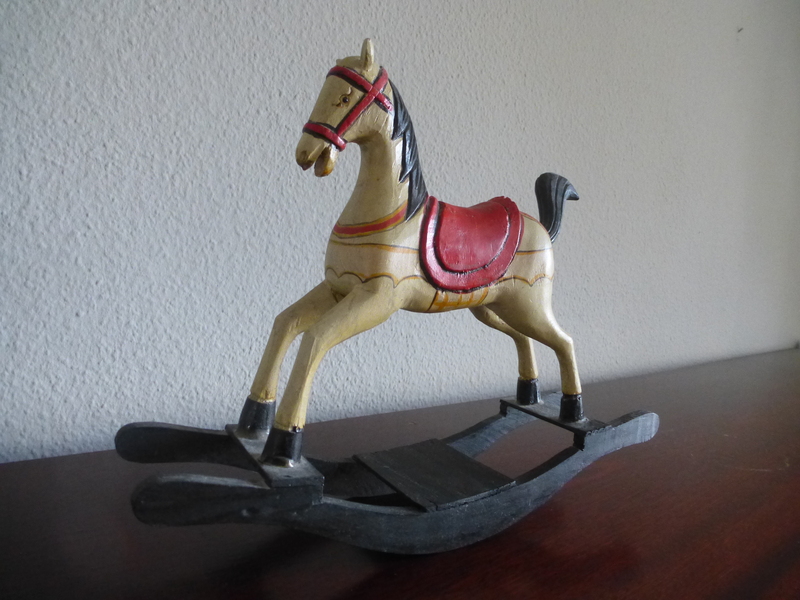 Lastly, this little horse, all alone yet happy. For the time being, he can stay. He will be a little guardian. Apparently your lady friend didn’t like him…he is happy, after all, and trots about in its imaginary pastures. Frau K., rest in peace. Your material world has been carefully and compassionately taken care of. It seems you were very alone, it does. 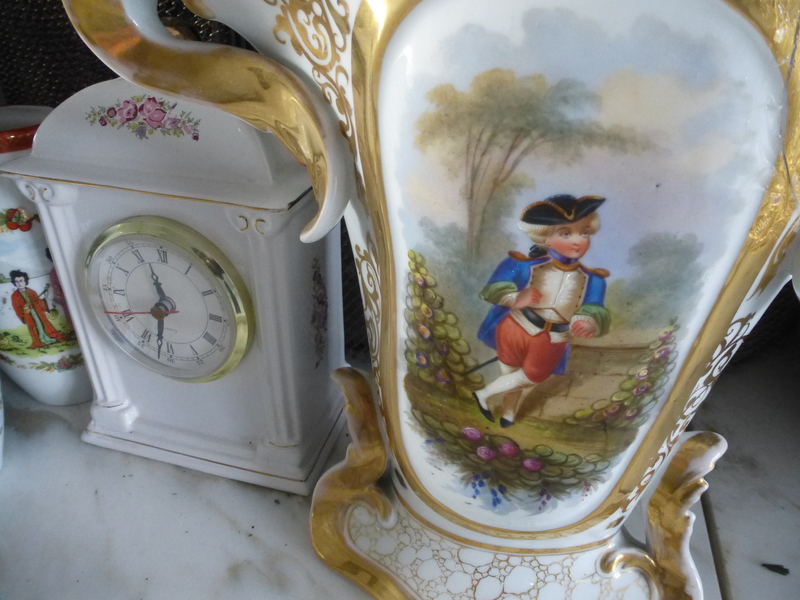 Some of the objects you loved will make other people happy, be those in need or those who compulsively collect. Maybe that provide you with a feeling of company, after all. « When we will be living abroad, and we will miss these colors….